Click on the therapies to find out more about the therapy and therapist. We are always keen to hear from new teachers or therapists. Please get in touch. On the 7th March Melanie will be offering her treatments for £25.00 as an offering to any new clients who wish to sample her work. As she works mostly intuitively a treatment is not defined as one thing in particular but as a possible combination of Bowen Therapy alone or fused with some form of energy healing modality. What does it mean to take a holistic approach to your Health? 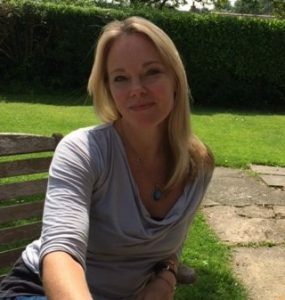 I have been a Bowen therapist and Hatha Yoga Teacher for 8 years and over this time, mostly through my own healing journey, professional experience, sensitivities and personal fascination with quantum physics I have learned that we actually do have quite a few other bodies besides this physical one!. This realisation took me on a journey to learn several Energy healing modalities like Quantum touch – Matrix energetics – Donna Eden Energy Medicine , Caroline Myss, TRE (Tension Trauma & Release technique), Emotion/Body Code and most recently Body Talk. And so now my treatments have organically become more intuitive in nature, fused with Body and energy work as we aim to move closer into alignment with what your Body needs right now to be balanced as opposed to what I’ or you’ think it needs. This way we can honour your own bodies innate wisdom to heal itself and to reveal its own truth. I work in a simple, efficient and gentle way and most conditions known or unknown can be addressed.If you would like to speak in confidence with me to know if how I work could be of help to you please don’t hesitate to contact me via any of the ways below. Special introductory and concessionary rates available, please ask. I am a registered integrative, humanistic counsellor with particular emphasis on transpersonal and person centred theory. 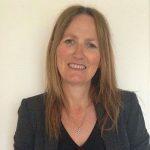 I have 20 years’ experience of working with children and families in various settings and have a passion for working with people. In 2010 I was moved to train as a counsellor. I was surprised at the depth of the journey I went on during my training and how transformative and creative counselling can be. Counselling can help with many issues such as, depression, anxiety, anger, abuse, bereavement and low self-esteem, to name but a few. It can also help to shine a light on the internal blocks and defences we put in place to navigate our human experience. Gaining an understanding of the self can free us up and ‘lighten the load’ so we move to being more fulfilled and self-accepting. I aim to hold an empathic, non-judgemental space for you to be heard and a warm, curious, creative atmosphere in which we can explore whatever you want to bring. Please do not hesitate to contact me with any questions you may have before booking an appointment. Initial 30-minute consultation: FREE to enable us to meet and see how we might work together. 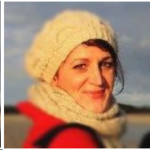 Zofia Dymitr MSc, BHom Med, FSHom, Dip Supervision. 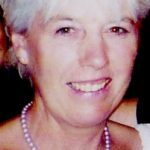 I have been a practising homeopath since 1985, and have also contributed to the development of the homeopathy profession in the UK and Europe for 23 years. I’m currently Vice Chair of the European Central Council of Homeopaths, working with colleagues across Europe to ensure patients have access to high quality homeopathy. I came to homeopathy through seeing it work quickly on my children when they were young, and love working with children who usually respond quickly to homeopathy. When you come for treatment, I will take a full case in order to get a full picture of how your ‘unwellness’ is affecting you. You will have the opportunity to tell me exactly how you feel and how you experience what is out of balance in your life. A first consultation will last an hour to an hour and a half. I will then spend time working with the notes I have taken to select the homeopathic remedy which is right for you. Once you begin your homeopathic treatment, you can contact me by phone or email so we can see how you are responding. We will usually book a review session four or five weeks after you begin treatment. Hello! I’m passionate about helping people improve their health. I first studied natural health in 1995 and I haven’t stopped since. In the past, I’ve taught Aromatherapy and owned my own health food/natural remedies shop. Kinesiology has helped me so much with my own health that I just had to share it with other people. I have a Diploma in Systematic Kinesiology and I’m a member of the Association. I’m also passionate about good food. I have coeliac disease so I have a lot of knowledge and personal experience of preparing naturally gluten and grain-free meals – I’m a big fan of the Paleo diet. Kinesiology establishes a dialogue with your body through gentle muscle testing. It is a truly holistic therapy which looks into the four realms of health: structure, biochemistry, emotions and energy. With muscle testing, we can identify what your body needs to return to good health. I work with and recommend essential oils, Bach flower remedies, herbal extracts and high quality nutritional supplements to create balance where it’s needed. I will probably also recommend diet and lifestyle changes, as well as relaxation technique. Kinesiology can also be used to detect sensitivities – to foods, pollutants, etc. Please do not hesitate to email or call me to ask how kinesiology might help you. This unique therapy is both uplifting and relaxing. It balances body and mind using a combination of kinesiology energy techniques and aromatherapy massage. First, I muscle-test to select pure essential oils to balance your body’s meridians. I then blend these in a warm coconut oil mix and use gentle, soothing massage to take you into deep relaxation. I am a registered massage therapist, qualified in Pregnancy massage, Sports & Deep Tissue massage and Swedish massage. Whether it is needed to relax, relieve stress, maintain health, or alleviate pain, each massage treatment is personalised to address the needs of the individual. My interest in running and triathlon initially led me down the path of sports and deep tissue massage, which I enjoy using to help clients target tight muscles, aid recovery, and relieve tension and pain. I also use Swedish and Indian head massage in order to provide treatments that are therapeutic, with the main purpose of de-stressing and relaxing. 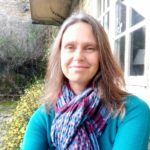 Alongside my training in Swedish massage, and experience as a mum of 3, I am qualified in pregnancy massage, using safe and specific pre-natal techniques to help reduce muscular tension, as well as other symptoms and conditions associated with pregnancy. It’s a great way to reduce some of the aches and pains inevitably felt during pregnancy, and help ease the stresses and strains felt by mum-to-be. Flexible times are available, please get in touch if you have any questions. 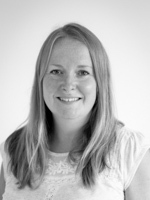 Sarah is a fully qualified Herbalist and Nutritionist, having studied in Sydney Australia, qualifying in 1998. She has been working as a Naturopath and Iridologist for 17 years. Iridology is thought to show us the individual constitution and can highlight the factors that lead to ill health, alert us to hidden threats, reveal weaknesses but also strengths. 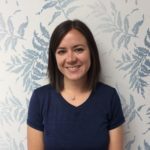 By isolating the weakened areas, Sarah can advise on how to adjust diet and life style to help you make the best possible choices for your health. Naturopathy simply means ‘nature cure’. A Naturopath works with the understanding that the body has a complete capacity to heal itself. Naturopaths are trained in many different modalities to give the body the right environment to heal itself. It is a gentle non invasive form of healing which aims to get to the core areas where imbalance is occurring, and not just treat the symptoms. Often it is only symptoms that are treated, usually with drugs that suppress these symptoms, which means that the disease itself will simply deepen and more loudly express itself. Naturopathy helps to treat conditions before they become more serious. *Functional laboratory testing incurs extra costs and is entirely optional, however, these tests can help us to find out exactly how the body is functioning. Helen has a special interest in digestive disorders, detoxification, and dietary education. She uses a Functional Medicine approach, which improves patient outcomes across a wide range of chronic health conditions. Functional medicine principles understand that each human being is biochemically individual, based on their genetic blueprint and environmental uniqueness. 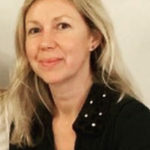 Helen gained her BSc (Hons) Nutritional Science from the Centre for Nutrition Education and Lifestyle Management (CNELM) in the UK, and is a registered member of the British Association for Applied Nutrition and Nutritional Therapy (BANT), and the Complementary and Natural Healthcare Council (CNHC). She completed a certificate in Neuro Linguistic Programming (NLP), which she uses for coaching and change management for personal development and achievement of health goals. Flower essences are used when necessary (Flower Essence Diploma). The website gives further details of what is included and what to expect from your session. 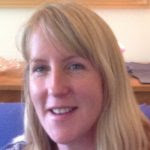 Contact Helen for a free 10 minute telephone consultation to ascertain if Nutritional Therapy is right for you. 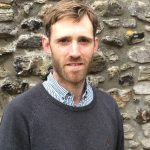 I am a Registered Osteopath, who works both privately and on the NHS. I was first interested in Osteopathy when I was treated for an injury when playing semi-professional tennis. This sparked my interest and I started my training in 2007 and went on to complete a Masters in Osteopathy. I have subsequently been amazed at the wide range of conditions it can help. I am passionate about implementing a plan for patients with acute pain and also people suffering with longer term postural-related problems. Osteopaths are primary healthcare practitioners who primarily work with the neuro-musculoskeletal skeletal system, mostly on muscles and joints. We use a variety of hands-on techniques, including soft tissue, mobilisation and manipulation techniques. A core principle of osteopathy are the idea the body works together as a whole, not in isolation, and the body contains self healing mechanisms when there facilitation for it to do so. Relevant psycho-social factors are also considered to form part a diagnosis for the patient. It is a safe, regulated and effective method of diagnosis and treatment of many musculoskeletal complaints. I started working as a therapist in 2000 having completed my Reiki Teachers apprenticeship in Australia. Since I was a child I have always loved doing massage and hands on healing. I really enjoyed training to be a Swedish massage therapist and over the last fifteen years I have added: Thai Yoga massage, Indian Head massage and Natural Face Lift massage into my practice. Having worked for many years in London in a corporate office environment I feel well placed to understand stress and how to overcome it. I enjoy using breath to balance and focus during treatments, and encourage my clients to reap the benefits of healing with breath awareness. I specialise in head massage and stress relief. Annabel combines these two relaxing therapies with hot towels to provide a treatment to melt into. Her massage techniques include: Swedish, Indian Head, Deep Tissue, Thai Yoga and Natural Face Lift. Reiki techniques include: energy clearing, empowering symbols and chakra balancing. She will put together a treatment to suit you and uses hot towels over your body. Annabel uses organic products on the face and pure organic oils for the body. A deeply healing, cleansing, and pain relieving treatment all round. Personalised gift vouchers available . Available at Dorchester Yoga and Therapy centre on Mondays from 12.30pm – 6pm. Mobile: 07900 076 789 – text is preferred option. Each session includes 30 minute consultation time to hear your individual needs and so you can come around at a relaxed pace. I’ve have always been fascinated by natural and alternative therapies and I decided to retrain as a Reflexologist in 2005 after experiencing the benefits of the treatment personally. I’m fully qualified and insured through the Association of Reflexologists to treat general and Maternity reflexology. Reflexology is a non invasive complementary therapy which aims to optimise both emotional and physical health. It works by applying pressure to specific reflex points found in the feet and hands,which correspond to all the various parts of the body. Reflexologists work holistically, treating the body as a whole and not just the symptoms. It can benefit people of all ages, and depending on the length of time a condition has been present, it can improve or eliminate many ailments over a four – six week course of treatments. Treatments will usually take around an hour, with an initial session taking an hour and a half, as a full medical history will be taken to identify any current areas of concern and your treatment needs. Reflexology is a very relaxing treatment to receive. 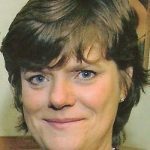 Maria Bailey – CPCABDip, IFTAdv.Dip. wealth of experience in working with all the difficulties (and joys!) that relationships of any kind can bring to our lives. In addition to my therapeutic practice. I am an experienced trainer and coach, training other professionals and facilitating courses to separated parents struggling with conflict and family breakdown. There are often times in our lives when we might feel distressed or overwhelmed and struggling to find a way forward. Difficulties in communication, anxiety, depression, bereavement, addiction, health or money worries, divorce and separation, infidelity, parenting differences and low self- esteem are just some of the many issues that can impact us and our relationships. Counselling provides a non-judgemental, safe and supportive space to explore and untangle whatever problems you may be experiencing. It can help you to improve the quality of communication in relationships and find support and clarity at a time when you might feel alone, confused, angry or stuck. My training is in systemic and psychodynamic models, I use an integrative approach and work with my clients in an intuitive way that feels the most helpful for the unique relationship that develops during the therapeutic process. Each appointment is a 50 minute session – our initial appointment would be an opportunity to meet and explore what brings you to counselling, and gain a deeper understanding of whatever goals or outcomes you may be hoping for. Following and exploring a profound spiritual yearning during my adult life led me to Yoga and Meditation, and two years ago I completed the Certificate in Ecumenical Spiritual Direction at the Franciscan International Study Centre in Canterbury. Spiritual Direction or accompaniment provides the opportunity to discuss privately and honestly the search for spiritual meaning in your life. Many of us question what this life is for, why we are here , do we have a soul, what happens when we die, is there a God? We may be looking for greater depth or wholeness in our lives, or want to look at some troubling issue from a different perspective. I can offer a safe, non-judgemental space for you to explore these questions and also, through our mutual conversation, offer guidance on developing a deeper spiritual and inner life . I practise meditation daily and am a regular church goer but these sessions are not aligned to any specific religious or spiritual tradition. After an initial session we would normally meet every 4 – 6 weeks. 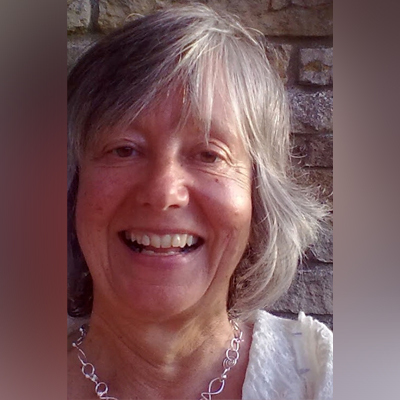 Katy has practised Yoga since the mid seventies and had a back injury in the eighties. She used gentle Yoga to heal her back and was then inspired to train to become a teacher. 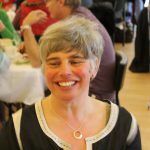 She received the British Wheel of Yoga Teaching Diploma in 1993 and furthered her training for three years with the Life Foundation School of Therapeutics – in North Wales. 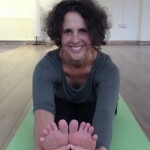 Katy offers One2One or One2Two Yoga for Back Care at the Dorchester Yoga and Therapy Centre. The aim of Yoga Therapy is to promote good health for the person as a whole – the emphasis of this work may be towards the body, the mind, the emotions or a combination of these. An individual programme from: specific physical exercises, breathing techniques, relaxation, meditation, dietary guidance and bodywork (massage). Alternative advice on other supportive complimentary therapies may also be given. The emphasis being on what you can do for yourself as the responsibility for developing health and happiness lies within each individual. I started practising yoga in 1981 when my interest in alternative and complementary approaches to health began. I have had particular experience working with pregnant and postnatal women and their families and practised as a holistic massage therapist from 1993 to 2013.I have studied deep relaxation, meditation and yoga therapy and use a wide range of tools from a practice of 30 years. If you are not sure whether yoga therapy can help you please feel free to ring or email me confidentially.